Just because we are the “Chosen Frozen” doesn’t mean that we don’t grill in the winter. Any long time Alaskan knows that when designing the back deck always allow a spot on the deck for the grill, making sure that it’s not more than two to three steps from the back door, which will allow the grill master to check their food in their socks. There is nothing better to chase away the winter blues than BBQ Ribs “Alaska Style”. First make sure to shovel the snow off the deck and grill, and make sure that you still have that bottle of Andrew Murray Esperance, (don’t worry we still have some on the shelf). Next, start making the rub from the following recipe which by the way is recommended by Andrew Murray himself. A few pinches of chipotle powder, cayenne BAM!!! Mix together in a bowl. Rub the ribs thoroughly making sure to get into all the cracks and crevices, wrap in plastic and put in the fridge, I recommend at least four hours marinade time to overnight. Cook the ribs for 2 ½ hours at 275 in the oven making sure that the ribs are wraped in foil, tightly sealed and placed on a sheet pan, (this part is really important since it locks in the moisture). When the ribs have half an hour left to cook start the grill and set to full tilt boggie. Remove the ribs from the oven, carefully unwrap them and lightly baste the tops with peanut oil. Very carefully place the ribs on the lowest rack of the grill trying not to let them fall apart. Usually about five minutes on each side will mark and scald the ribs about perfect. Next turn off the grill and transfer the ribs back to the sheet pan and place on the highest rack of the grill and slather with your favorite BBQ sauce. As the grill cools the sauce will start to set and the excess will drain onto the sheet pan. For sides try some baked beans and garlic bread…on second thought make that two bottles of Esperance. There are many things that affect the flavors and overall experience of drinking a bottle of wine. Let’s talk about faults first; there is almost an endless list of wine faults from vineyard faults like damaged fruit, to winery faults like improper sanitation. Most faults of these nature are caught early on and never make it into the finished product. However a fault like a “corked” wine is inevitable since between 1 to 3 percent of all cork harvested has a sufficient percentage of a chemical compound (TCA) or (TBA) which produces a mold of fungi that causes the spoilage. A “corked” wine will smell like an old gym sock and taste pretty terrible. It is possible for a wine to pick up (TCA) from the oak barrel also but it is extremely rare, so it is safe to say that transferring to a screw cap closure system all but eliminates this fault. Another common fault is oxidation which is usually caused by a cork that doesn’t make a good enough seal to keep out oxygen which causes the wine to first go flat and eventually turn to vinegar. Corked wine and oxidation are the two most common faults. Afraid you won't know if you have a corked bottle? Don't worry. You'll know. Under misconceptions one of the most common is Sulfites. Oh boy, sulfites. Wine professionals must hear about customer sensitivity or allergy to sulfites more than anyone else. Many people believe that imported wines don’t contain sulfites when in reality sulfites are created naturally in wine during the fermentation process. In fact without the natural creation of sulfites during the winemaking process the wines would not last nearly as long. In the USA all wines are required to post on the label that they contain sulfites if there is more than a 10 parts per million concentration. Wines from other regions are not required to display on the label that sulfites exist – but trust, they are there. 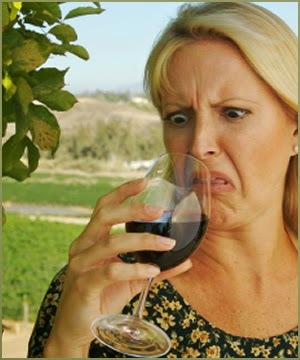 It is estimated that only one percent of the population is sensitive to sulfites. Both dried apricots and raisins contain more sulfites than wine, so if you can eat them without problems then you don’t have a sensitivity to sulfites. Another misconception is sediment, many of the best wine makers in the world feel that by filtering wine they are removing some of the flavors that make their wine so remarkable. Sediment is not a bad thing, it doesn’t taste that great though. 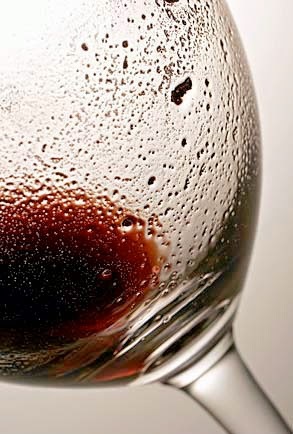 If particles and sediment are a nuisance, we recommend decanting first, you can even use a wine screen or filter. A filter would catch the sediment, or you can just not take that last sip. 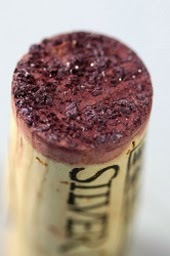 One of the most interesting misconceptions is the formation of crystals on the cork, these tartare crystals which are caused by the wine being exposed to cold while being stored are harmless, some winemakers do what is called “cold stabilization”, they subject their wines to a cold condition causing the crystals to form, than filter them out. And again many winemakers feel any filtering causes a slight loss of flavor and character. (A side note, Tartare crystals are the same compound as Cream of Tartar). So in short if you open a bottle and see a coating of sediment around the neck of the bottle and lots of sediment and some crystals on the cork you know that the bottle was stored upside down and in a cold environment, and the winemaker didn’t want to remove anything from your tasting experience, all good things. I recently completed a wine sourcing trip to Paso Robles. Like so many trips before I am very pleased with the wines that we were able to find for UnWINEd. However this post isn’t going to be about wine, shocking I know, instead I have decided to write about wine country accommodations. Most people have noticed that in wine country everything seems to be just a little bit more expensive, (sometimes a lot more expensive!) and I have to say that many times I have paid more than I felt was warranted. 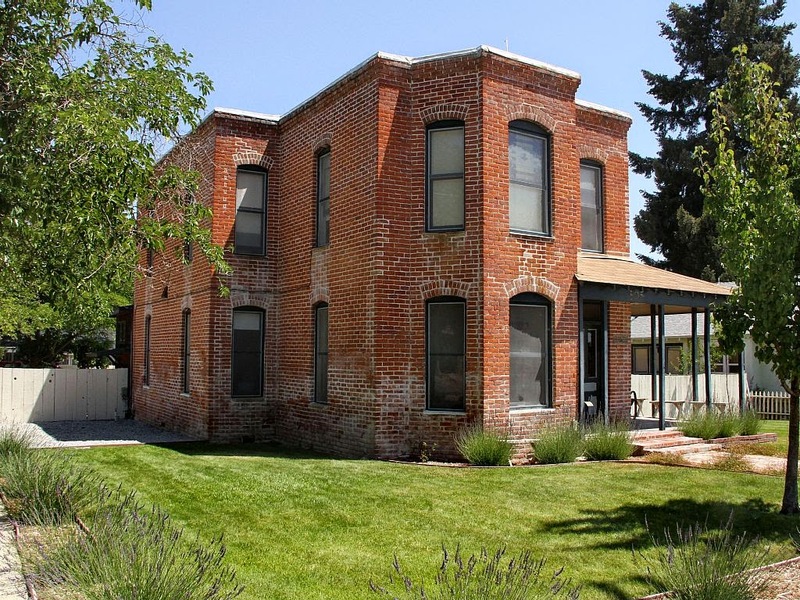 However, on my most recent trip I was fortunate enough to stay at a FRBO (for rent by owner) in Paso Robles called The Tolle House. 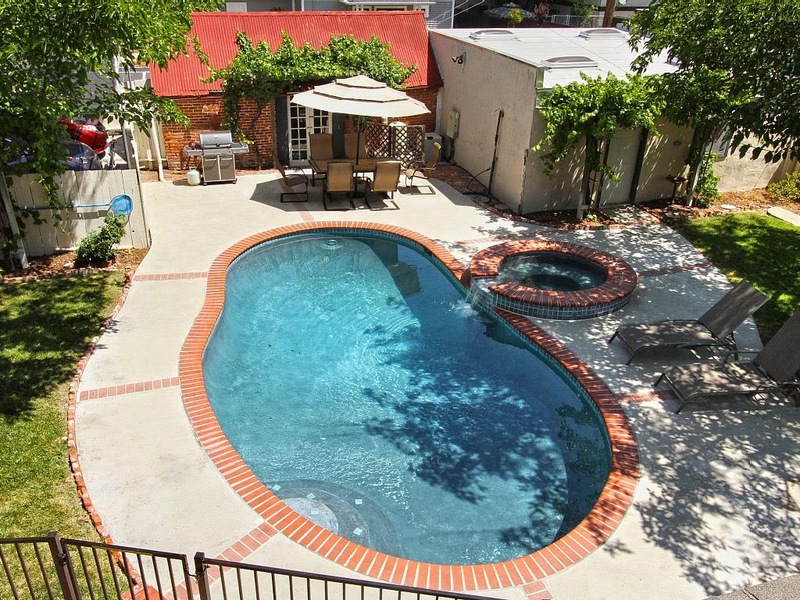 I am not going to go into a lot of detail about all the amenities, which would turn this post into a novel. I will say however The Tolle House seriously ROCKS!!!! How about being able to turn on the outdoor spa from your bed, how insanely cool is that? Picture this, you slide out of bed, pour yourself a cup of coffee and slip into some bubbling hot water while you watch the birds flying overhead looking for their breakfast. And ever so slowly you feel your hangover disappearing. It’s basically magic. This place would be the ultimate place to spend time with a small group of friends, six to ten would be perfect. And if you are a cyclist there is an onsite bike shop with professional tools. Check them out on the web. A few photos are below, but there are many more at the site linked above. Check out that beautiful brick!